Needing a few weddings signs for your big day? You're in luck! Natural Designs by Rio is the name of the incredible shop where you can purchase these handmade wooden weddings signs for yourself! 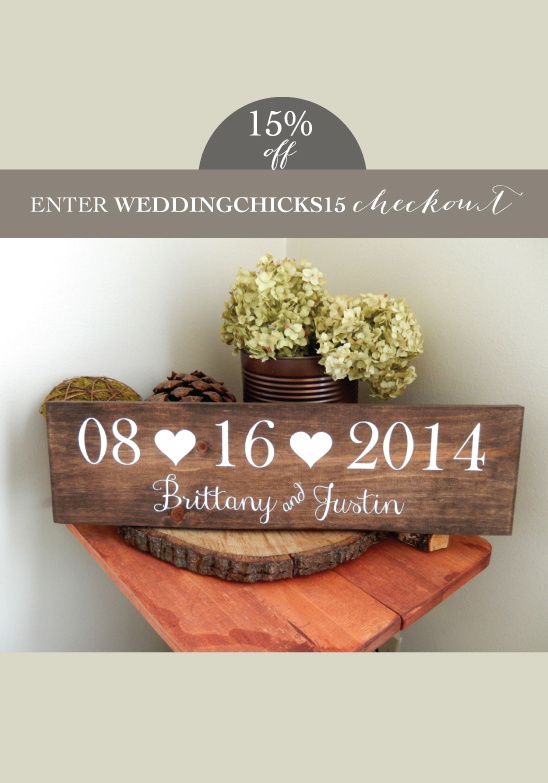 Even better, we've got a 15% off coupon code to share: WEDDINGCHICKS15. So hurry on over to their site by clicking here and get a few more things checked off that list! Natural Designs by Rio is a small handmade wedding and home decor shop based out of Pennsylvania. All of their items are handmade and made to order. They can customize every sign in the shop to meet your needs, whether it be color, wording, fonts, or sizing. It's their goal is to make sure that each sign is created with love and done in the most quality way possible. And coming soon, they'll be offering more items for your after wedding day "nest".